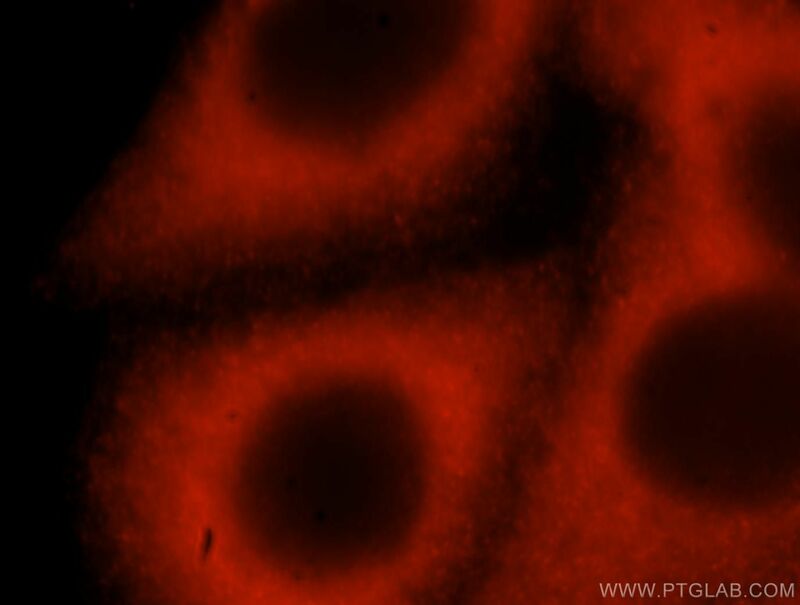 Immunofluorescent analysis of HepG2 cells, using ABL2 antibody 17693-1-AP at 1:25 dilution and Rhodamine-labeled goat anti-rabbit IgG (red). 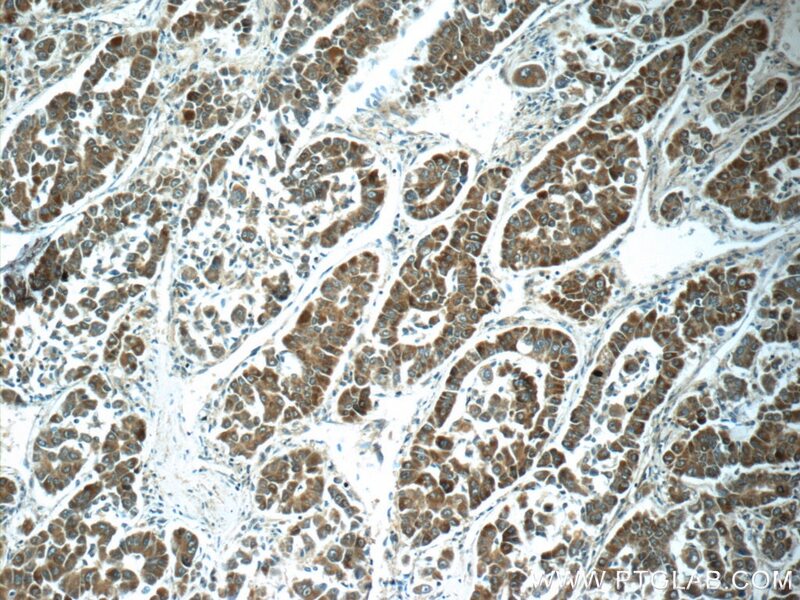 IP Result of anti-ABL2 (IP:17693-1-AP, 4ug; Detection:17693-1-AP 1:500) with HeLa cells lysate 1200ug. 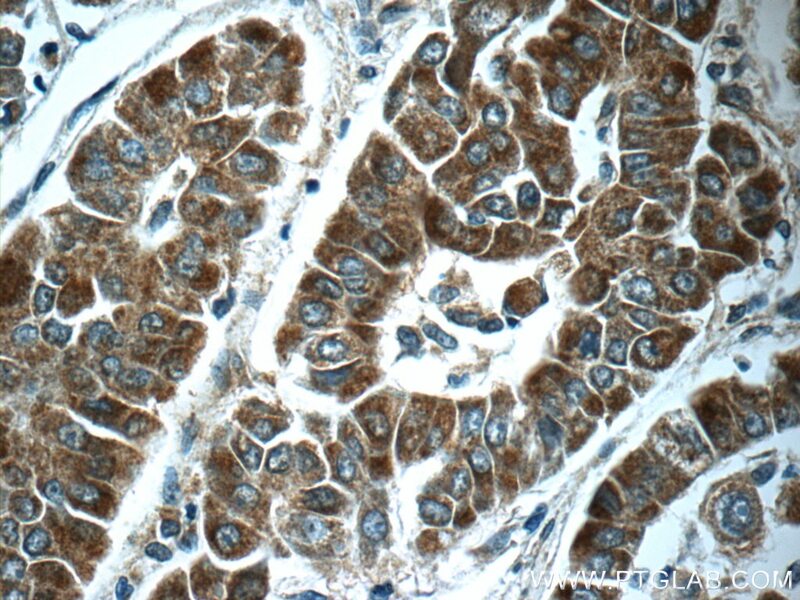 ABL2(Abelson tyrosine-protein kinase 2) is also named as ABLL, ARG and belongs to the protein kinase superfamily. 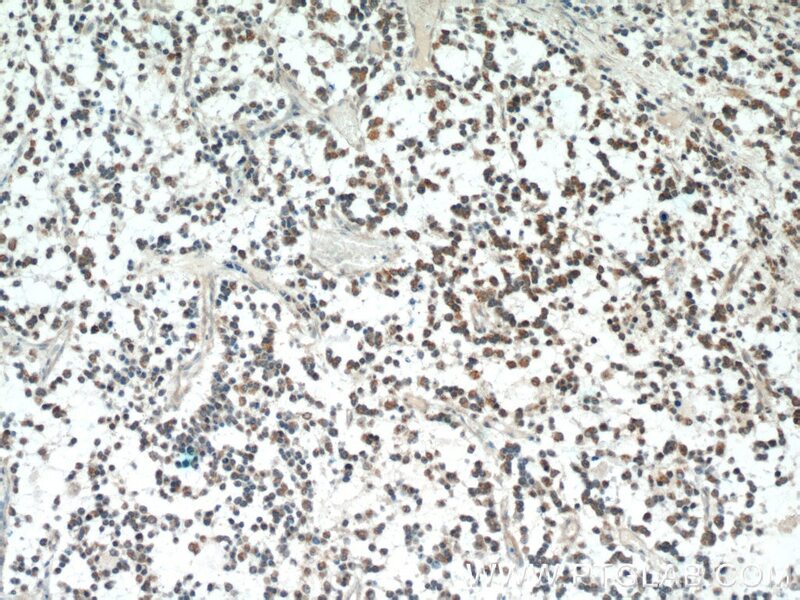 It is a membrane-anchored nonreceptor tyrosine kinase that is a novel mediator of SEMA3F-induced RhoA inactivation and collapsing activity and it has a role in cytoskeletal rearrangements by its C-terminal F-actin- and microtubule-binding sequences. 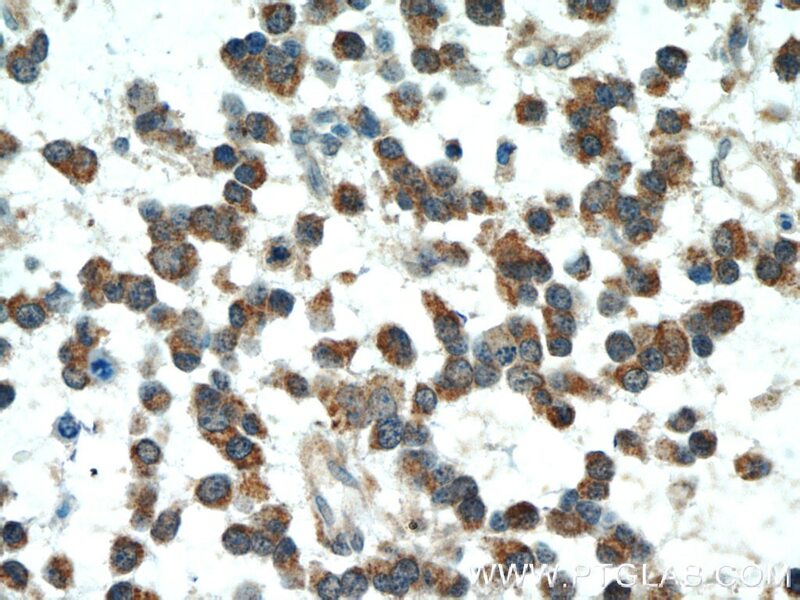 ABL2 can be polyubiquitinated and the polyubiquitination of ABL2 leads to degradation. This protein has 9 isoforms produced by alternative splicing with the molecular weight from 114 kDa to 128 kDa. 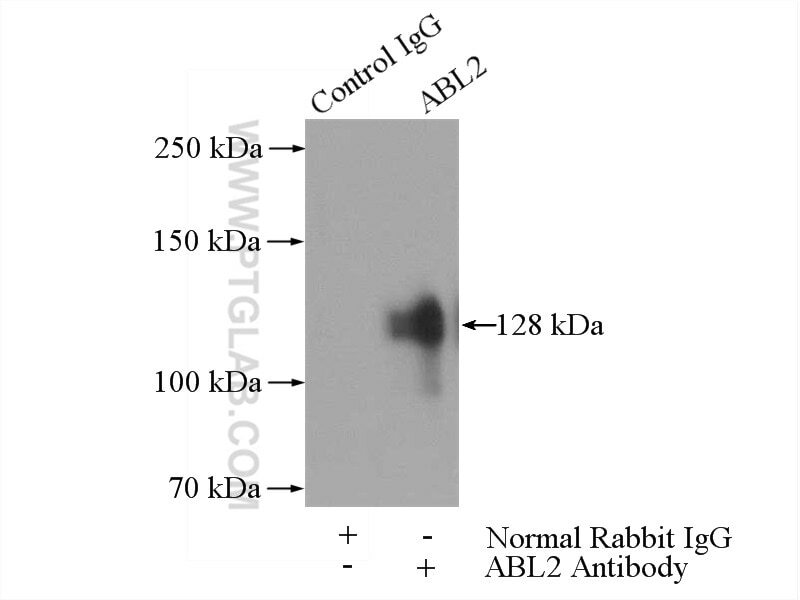 The antibody is specific to the others except the 60 kDa isoform of ABL2.